If you're looking for a quality storage piece full of transitional style, this dresser and mirror set will make the perfect addition to your bedroom collection. With 11 drawers of varying sizes, this piece offers ample storage room for your clothing and accessories. 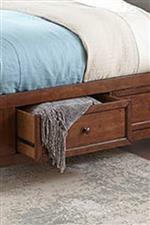 Each drawer fully extends meaning you won't have to struggle to reach those items that shift all the way to the back. 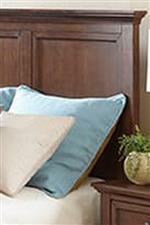 This set is topped with a matching landscape mirror that will complete any bedroom. The Tolson Transitional Dresser with Mirror at Walker's Furniture in the Spokane, Kennewick, Tri-Cities, Wenatchee, Coeur D’Alene, Yakima, Walla Walla, Umatilla, Moses Lake area. Product availability may vary. Contact us for the most current availability on this product.